Use Assemblr to place 3D architecture models in real environment — whether on top of a floor plan or even in the actual site — and take your potential clients into an immersive tour inside the design. Give your readers a whole new way to enjoy your books by bringing your stories and characters to life. People are moving to the digital world. While printed books have their own appeal, more people are starting to leave them and spend more time in their mobile devices. More ways to narrate stories appear, and only a smart use of immersive technology will get you the best of both worlds. Researches proved that people remember what they see and do more than what they read or hear. When it comes to telling stories, visuals get the job done better than any other mediums — even more if they’re interactive. No matter how enjoyable your book might be, the readers’ experience only lasts until they finished reading it. Innovations and adaptations across mediums keep imaginations alive even long after you’ve published your latest book. Impose an immersive world right over the text that are written. Be it static or animated, you can visualize anything indescribable by turning them into enchanting AR pieces. Letting your readers interact with characters or places in your book will no longer be a fantasy. They will be able to feel like they’re a part of the story — the experience is priceless! Immerse your readers even further into your stories by setting up interactive activities inside your books! From quests to quizzes, you can incorporate rewards or puzzles in form of AR pieces that could be revealed with just some taps on the phone. Way to get everyone excited! 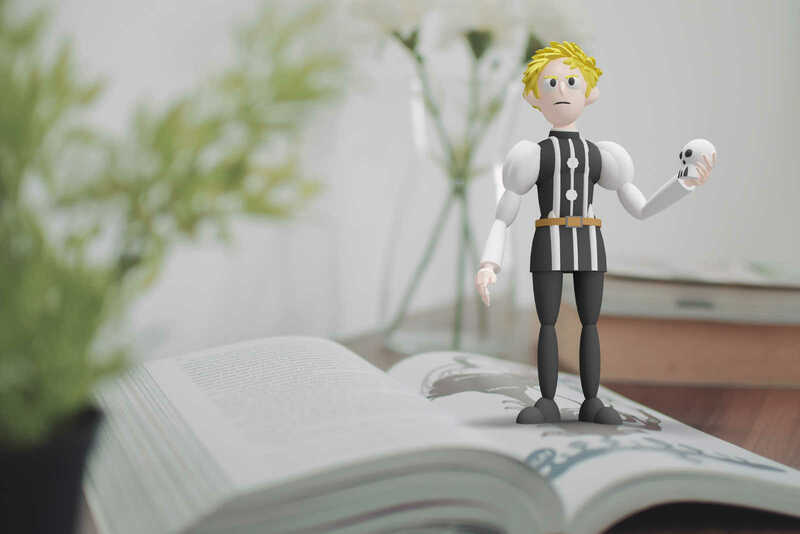 Promoting your upcoming book will be a breeze with the help of AR! Beside the book itself, you can also augment your contents to packagings, brochures, posters, or even big installations like billboards. Create an all-encompassing experience everyone would love to take part, and watch the world you’ve built in your imagination seep into reality!